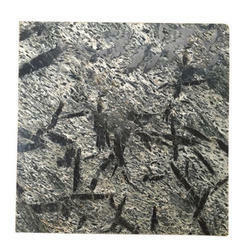 Leading 100% Export Oriented Unit of kund multi slate stone, silver grey slatestone, copper slate stone, jack black slate stone, ocean green slate stone and silver waves slate stone from Ahmedabad. In order to fulfill various demands of our esteemed clients, we are engaged in providing an optimum quality array of Kund Multi Slate Stone. 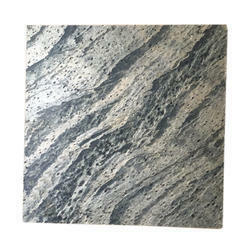 With sincerity and hard work of our professionals, we have carved a niche for ourselves in this domain by offering premium quality gamut of Silver Grey Slatestone. 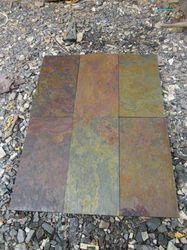 Avilable size 30x30, 30x40, 40x40, 40x60, 60x30, 60x60, 120x60 Cut to size Tiles. 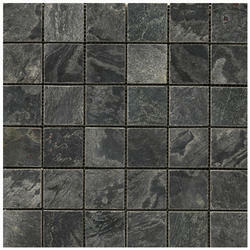 Products & Applications: Tiles, Flagstone, Crazy Paving, Flooring, Wall cladding, Pool Coping, Pool Surrounds. Edges : Machine cut, Chamfer, Pencil Edge, Half bullnose, Full bullnose, Rebated Bullnose. 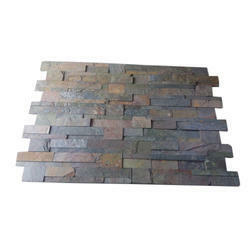 Being one of the renowned organizations in the industry, we are highly engaged in providing a premium quality range of Copper Slate Stone. 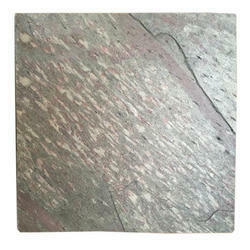 This stone has rich brown and pinks combine with a metallic feel to create a truly striking surface. 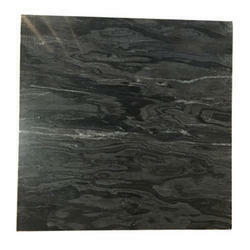 Its used a lot for the exterior and interior cladding and flooring. It looks amazing when the light falls on its surface. 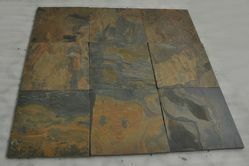 To cater the variegated demands of our clients, we are highly engrossed in offering a wide range of Jack Black Slate Stone. In order to meet various demands of our esteemed clients, we are engaged in providing an optimum quality array of Ocean Green Slate stone. 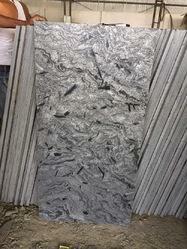 With the aid of our experienced team, we are devoted towards providing an exquisite range of Silver Waves Slate Stone. 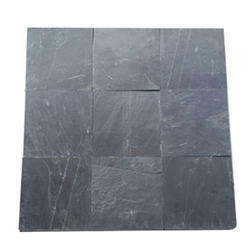 We are the leading entity in the industry, highly engaged in offering the best quality range of Monsoon Black Slate. With our in-depth knowledge of this domain, we are actively engaged in providing an excellent quality range of Deoli Green Slate stone. 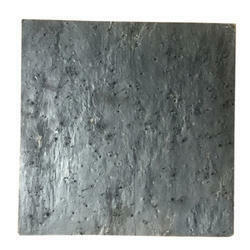 We are a remarkable entity, engaged in offering a qualitative array of Golden Rust Slate. We are actively engaged in offering an extensive range of Slate Wall Panel for catering the diversified requirements of our clients. 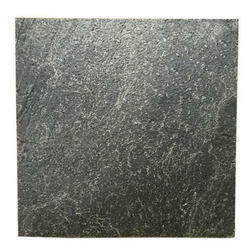 Backed by rich industry experience, we are engaged in providing a premium quality range of Golden Green Slate Stone. 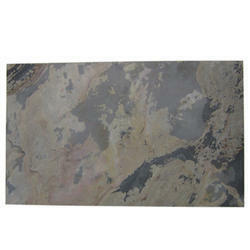 Slate stone veneers are made using top side natural and backside with the polymer coating on the fiber. 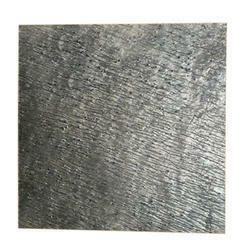 These are long-lasting for wall cladding and used a lot on several projects as wallpapers. Driven by vision to achieve significant growth in the industry, we are engaged in providing a wide range of Silver Ocean Slate. 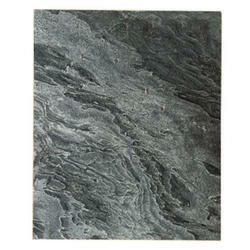 Looking for Slate Stone Tiles ?